TADHack-mini London was larger that last year with 88 people through the door, 18 hacks, with more diversity of people involved, and many more hacks winning that required little coding. For example, using webhooks between Cisco Spark and IBM Bluemix. This is an important trend; the tools and platforms continue to democratize telecoms so more and more people can use it in their applications, services and business models. We had a total of $8k to distribute across the winners including a Trossen Phantom X Hexapod. Every time we hold a TADHack, the quality and diversity of the hacks increases, regardless of location. The proof is clear, telecom app development is powerful and we’re only just scratching the surface of what is possible. Apidaze: check out this interview with Luis the CEO on Apidaze on the impressive services being built on their API like ottspott and widget4call. Cisco Spark / Tropo: Check out this interview with Jason Goecke, GM of the Tropo BU in Cisco, who discusses their $150M Spark Innovation Fund. Hack at TADHack and potentially get some funding. Dialogic: Dialogic powers Telestax, they will be judging hacks built on Telestax. Matrix: is an amazing open source project that is becoming ever more popular, check out their blog, it is an open standard for decentralized communications. Telestax: check out how Sebastian Schumann took a hack built on Telestax at TADHack London last year commercial in less than 6 months. 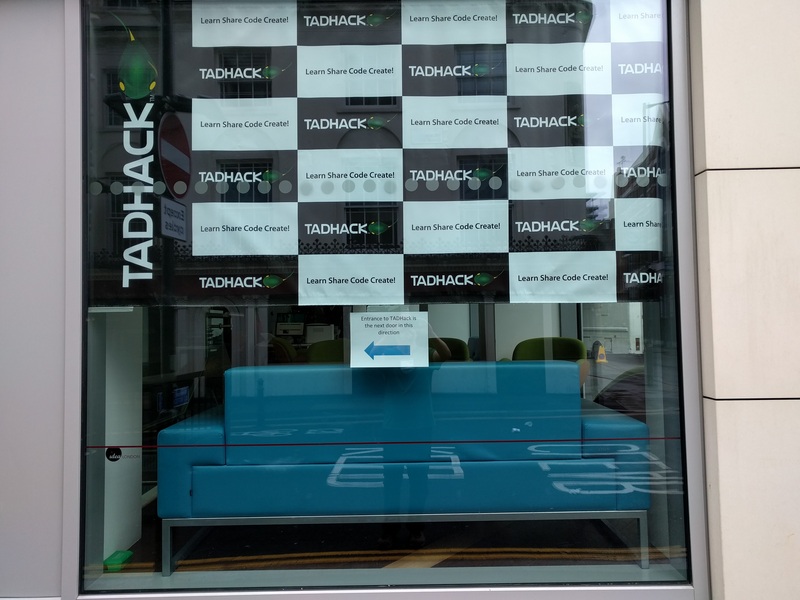 This weblog reviews the rest of the hacks created at TADHack-mini London, as you can see the quality is extremely high. Igor Pavlov, founder and CTO of LyteSpark, and a regular at these events as this was his 3rd TADHack. Showed the LyteSpark Slack App . When you get into a chat session where jumping onto a video chat makes more sense, the LyteSpark app jumps in with a suggestion. LyteSpark has just launched a few weeks ago, yet that did not stop Igor hacking. Its a great example of how communications can be made effective. Messaging is fine, but sometimes talking so so much quicker, and that’s what the LyteSpark app does. You can download the Slack app here.